Poorly designed value-at-risk measures employ numerous key factors in an attempt to reproduce the actual shape of term structures or other curves. 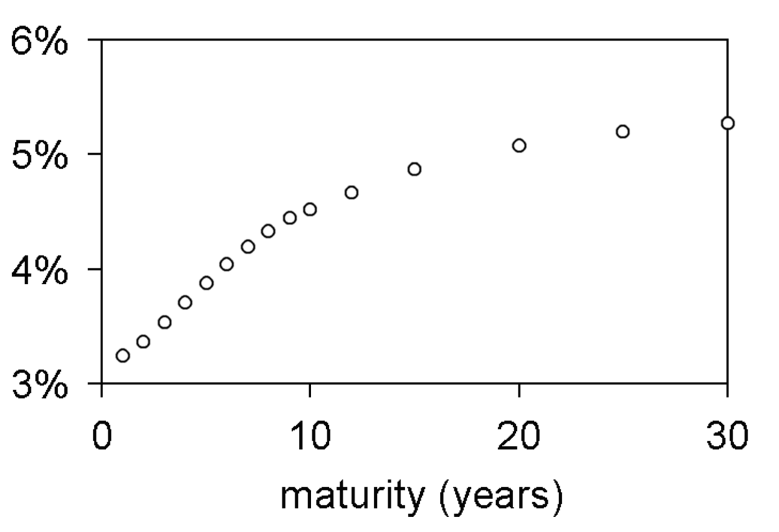 Consider the Euro swap curve for March 3, 1999, which is plotted in Exhibit 9.25. 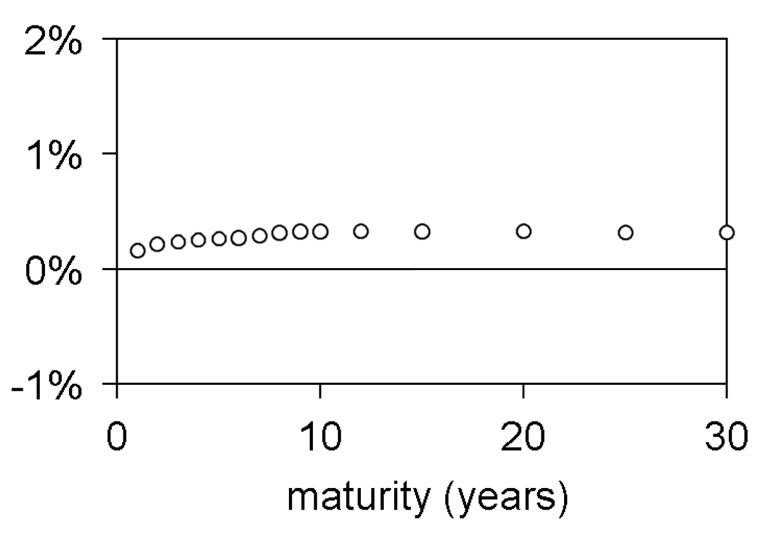 Exhibit 9.25: The Euro swap curve for March 3, 1999, is depicted with values for 15 maturities from 1 year to 30 years. How many key factors are needed to model this term structure over time? In fact, it can be accurately reproduced with just three. The secret is to not model individual swap rates as key factors, but to model changes in individual swap rates. Exhibit 9.26 indicates the same swap curve as well as the swap curve from the previous week. Over 1 week, the curve shifts upward with a slight tilt. Otherwise, its shape hardly changes. 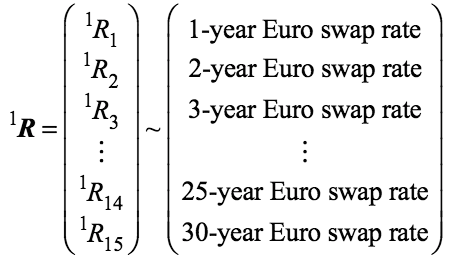 Exhibit 9.26: Euro swap curves for February 24 and March 3, 1999. Exhibit 9.27 plots the change in the swap curve—swap rates for March 3 less corresponding swap rates for February 24. This is a simple curve. We could easily model it with three key factors and interpolate for the rest. In this manner, we can accurately model the swap curve itself—it equals the change in the swap curve plus the previous week’s swap curve. Lets formalize this. 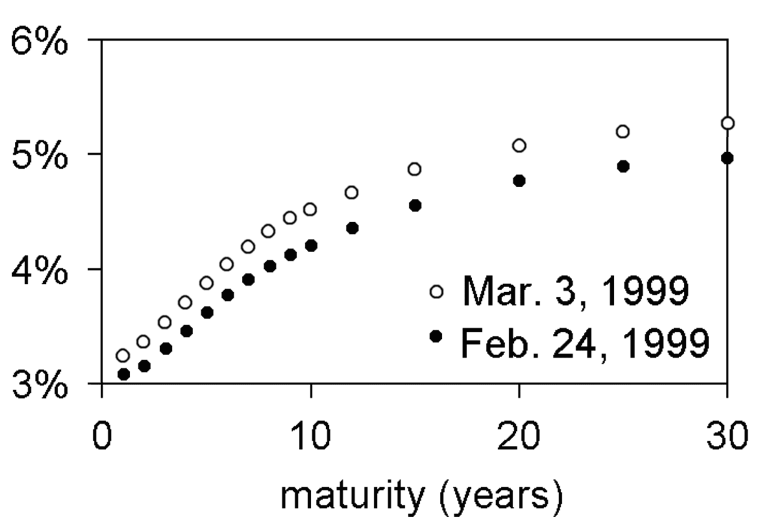 Exhibit 9.27: The change in the Euro swap curve going from February 24 to March 3, 1999. This approach of modeling changes in a curve is invaluable for modeling yield curves, forward curves, volatility skews, and other curves. It is based upon an observation that changes in financial curves tend to have smoother shapes than the curves themselves. Hence, they can be accurately modeled with fewer key factors. Determine the corresponding realization 1q of 1Q.